The serial number of all the Apple handheld devices is provided on two places – The back panel in the bottom section where a lot of text is engraved, including the Serial Number, and the Settings section where the About section for the device would show the serial number. Turn your device back and check the bottom for the engraved text to get the serial number. This comes to good use when your device is turned off or isn’t working and the Apple Care asks for the serial number of the product for verification. If the device is turned on, you can easily find the serial number by going to the Settings > About where the serial number is located. 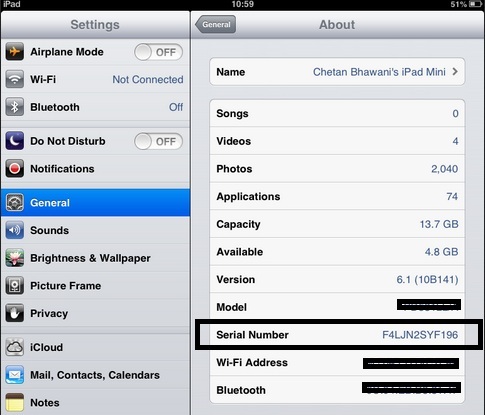 To find the IMEI number or the ICCID of the iPhone that you are using, you need to go to the About section under General Settings and there near the bottom there are the Serial Number, Wi-Fi Address, IMEI Number and the ICCID of the iPhone. The same can be seen in all the iPhone versions from iPhone 4, i.e. iPhone 4, 4S, 5. To copy the IMEI, ICCID etc. you need to be on the iOS 6 or later on your device. Tapping and holding the number for a couple seconds would open an option to copy the number. This would make it better for an accurate entering of the data when you are filling some forms on the registration sites etc. Apple iPhone 5: The IMEI number is engraved on the back case, near the bottom. MEID Number for the Apple iPhone: It is the first 14 digits of the IMEI number that is engraved on the back, or is available in the settings. 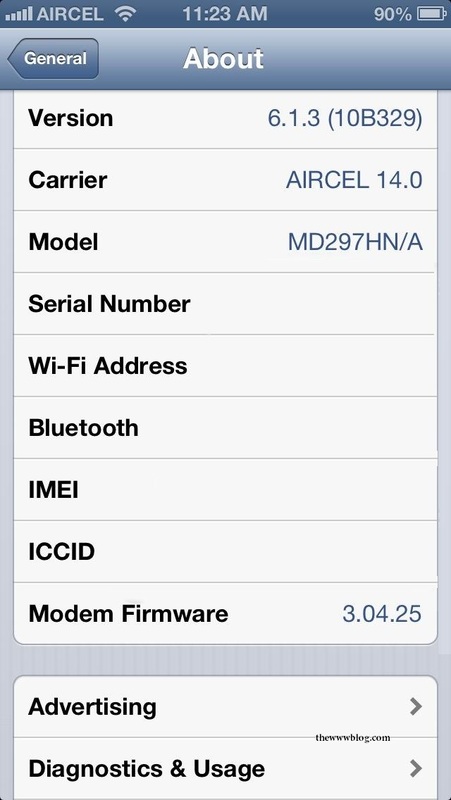 The IMEI is a 15-digit number while the MEID is the first 14 digits in it, removing the last digit from the IMEI. In these phone versions, the SIM card tray would have the IMEI number when the SIM tray is pulled out, the tiny engraving would be seen.